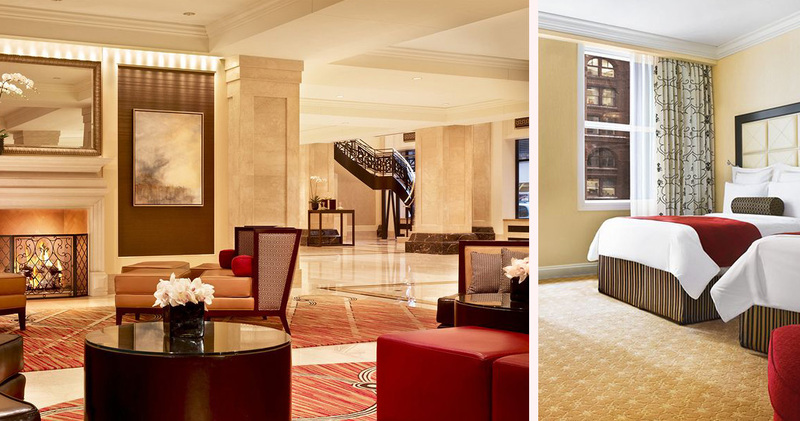 JW Marriott is a sophisticated hotel with refined style, luxurious accommodations and friendly service in Millennium Park. 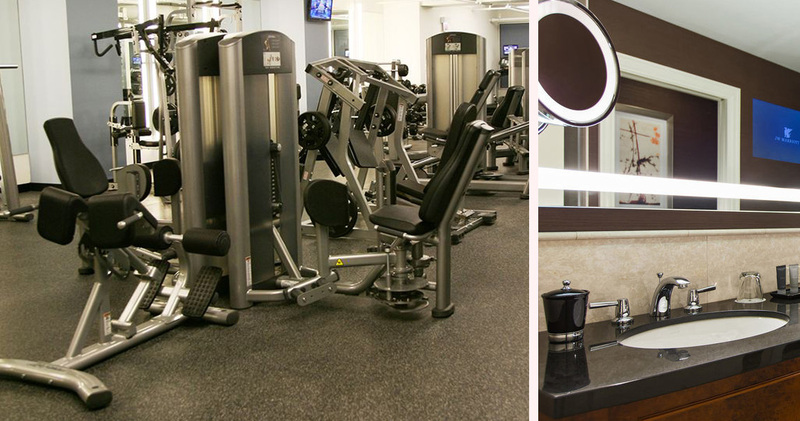 JW Marriott is located close to attractions like the Cloud Gate and Millennium Park. 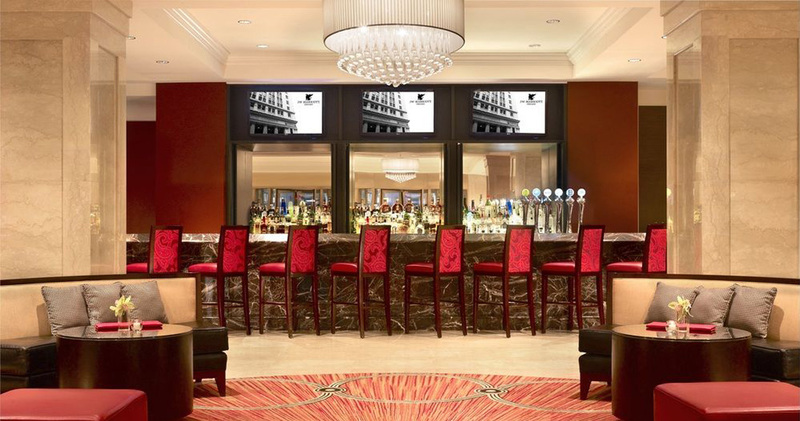 This historic hotel was designed by world-famous architect Daniel Burnham. The sophisticated hotel has refined style and understated elegance. 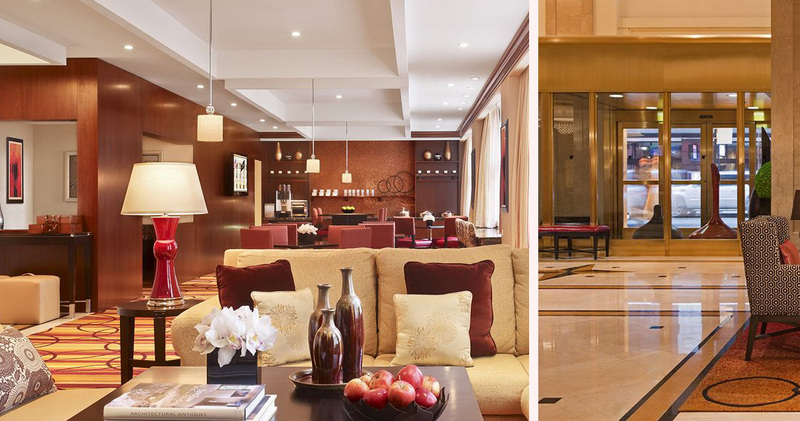 The lobby is spacious and grand with a sweeping staircase, large pillars and a classic beige and gold color palette. Floor to ceiling windows and beautiful chandeliers provide ample light. 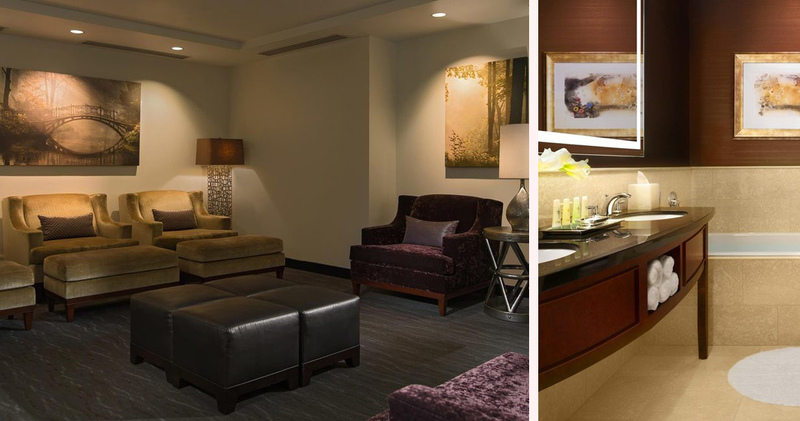 Throughout the lobby are cozy seating areas that encourage guests to socialize or simply relax while enjoying city views. 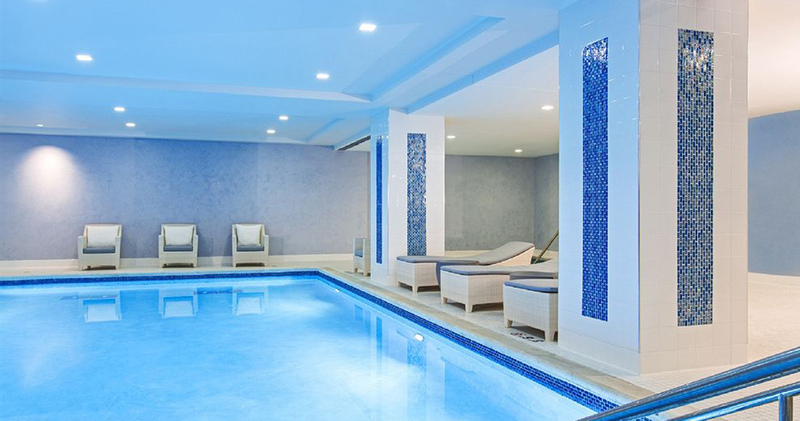 Hotel JW Marriott Chicago has an indoor pool, whirlpool and a full-service spa that offers luxurious body treatments like the Moroccan Hammam treatment. 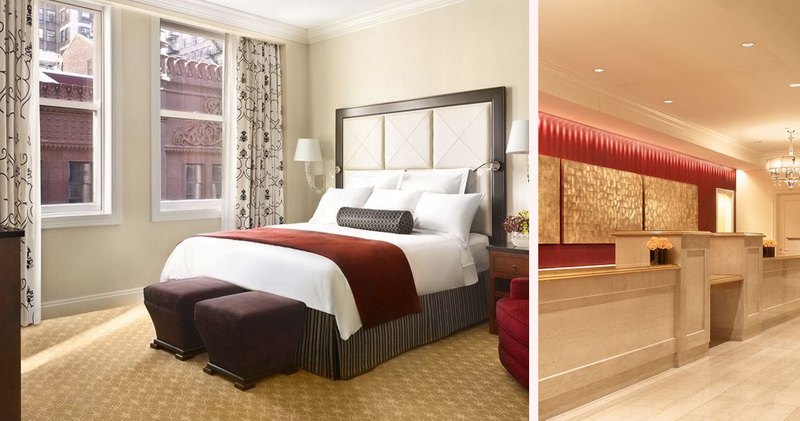 The JW Marriott guestrooms are designed to offer elegance and sophistication. Featuring a neutral color palette of beiges and browns, pops of rich maroon brighten up the decor. Beds feature a leather headboard, cotton-rich linens, down duvets and pillowtop mattress. A desk, ergonomic chair and a comfortable armchair are available in each room. 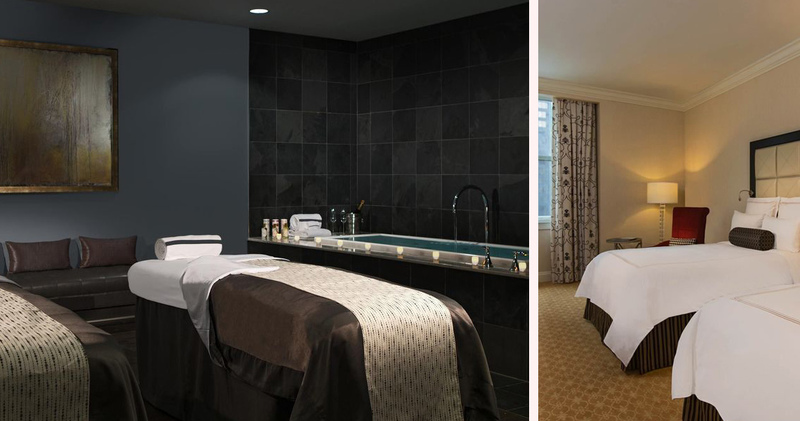 The bathrooms at Hotel JW Marriott Chicago feature an oversized marble bath, double vanities, beautiful artwork, hardwood finishes and luxurious Aromatherapy Associates amenities. The Florentine at JW Marriott has a lush, warm interior with an antipasti display, a circular bar and cozy booths. The restaurant serves seasonal Italian cuisine, handmade pastas and a large antipasti selection. 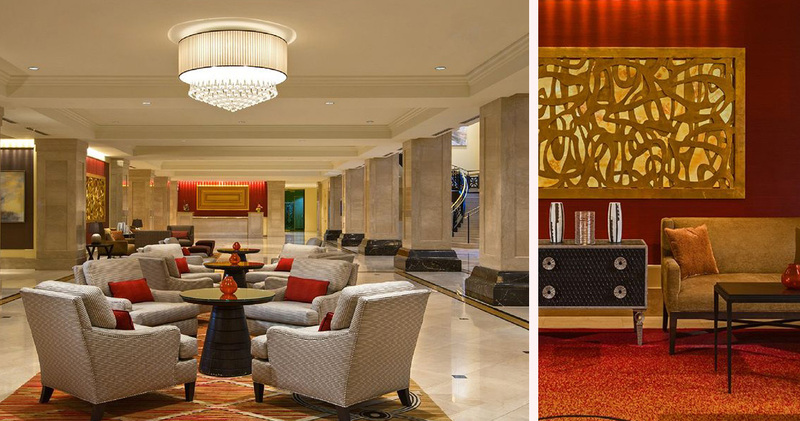 For a casual experience, guests can visit The Lobby Lounge with its laid-back atmosphere and warm fireplace. The lounge serves small plates and cocktails.